Your child was operated on – what next? 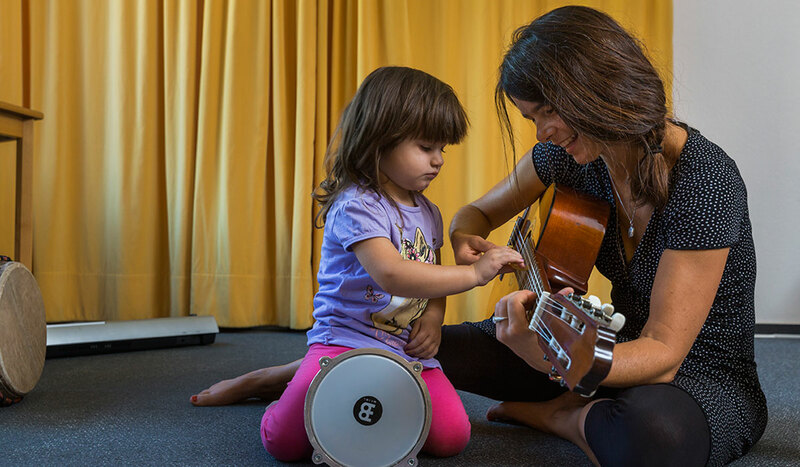 Four weeks later, after the first fitting of the speech processor, your child experiences new hearing and sound. If you come out of the dark looking at bright light, the eye gets used to the light. However, a sudden sensory overload would be a shock for a child that has an implant. And to hear something does not necessarily mean at the same time to be immediately able to process and understand, or even linguistically implement, that process. Gradually, over a period of three to five weeks, we programme the speech processor so that the children can gently adjust to the new sound impressions. In fact, it is true to say that we are also “technicians”, although we see ourselves above all as therapists accompanying the children and their parents in this exciting, thrilling and beautiful conquest of the world of sounds. At the same time, we will arrange weekly or bi-weekly appointments with you in order to organize individual therapeutic support for your child. Here we focus on the natural language development in hearing children, with a view to always having in mind the entire development of your child. We understand that, as parents, you are the best experts for your child and we will take that very seriously. In this context, we work with you to support your child’s development. 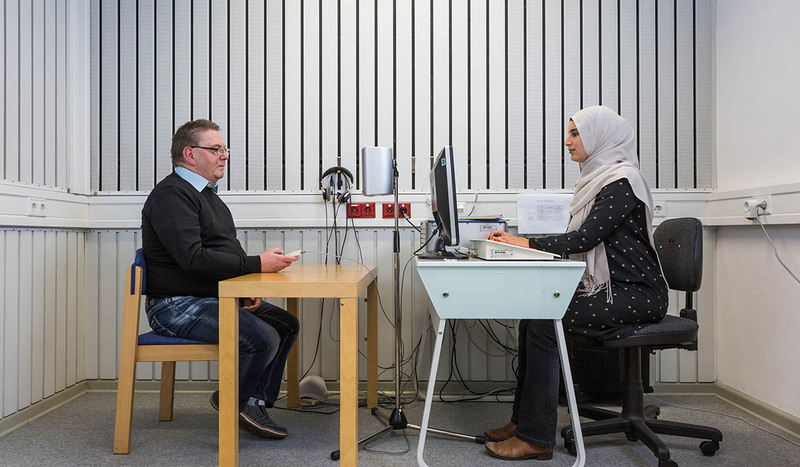 We carry out subjective and objective electrophysiological monitoring of the CI system and optimizations of the speech processor settings at regular intervals. 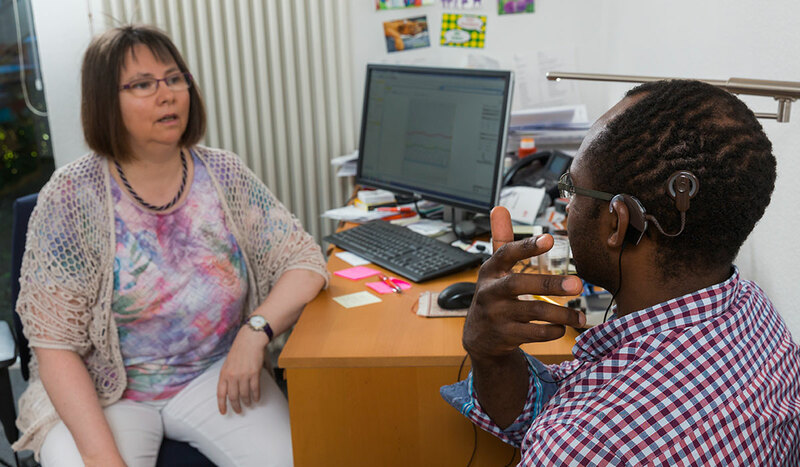 And of course we also check the effectiveness of the CIs regarding hearing ability and speech comprehension using age-appropriate hearing tests. Finally, we take for granted the need to resolve issues in relation to knowledge of Cis with you. The connection between education and a good language development is unfortunately often underestimated. Consultation with appropriate child-care centres and schools, along with counselling for your child, as well as consultation with tutors and teachers as part of the integration process rounds off our services. This includes medical and educational reports and development appraisals with which you can apply for your child’s integration assistance and other relevant support.